We have a dedicated team of locksmith on call to attend to all those locksmith emergencies. Our locksmith can fit a full range of locking devices to windows and doors of all shapes and types (timber, aluminium, steel or uPVC). We also fit specialised locking systems such as electric mortice locks and magnetically operated locks for use in conjunction with our access control systems. The practice of snapping cylinders has become rampant around Ireland in recent times. Shared practices amongst the criminal fraternity has meant it is extremely easy for criminals to gain entry to your home or business. We supply and fit cylinders which are anti-snap, anti-bump and anti-grip and will ensure that your physical security will be at an optimum level. 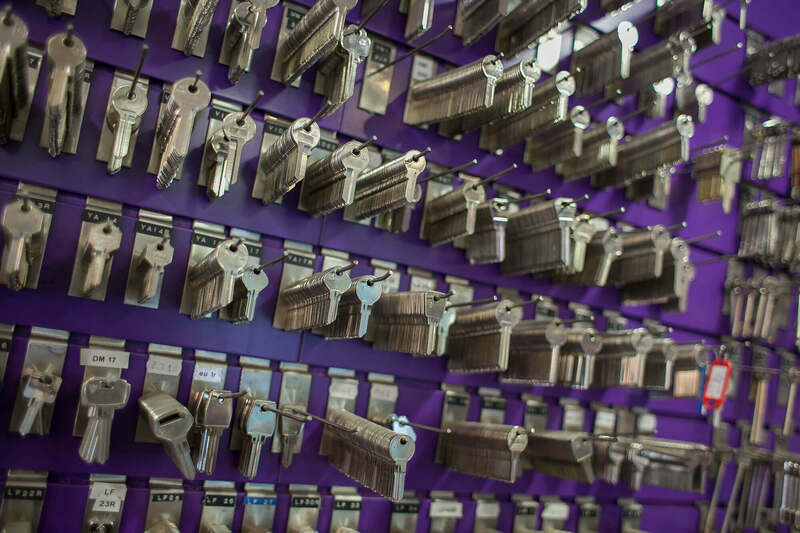 We have a full key cutting service available in our retail unit.